The 2019 calendar of classes and events is now available on our website!! Register Now for the PBR event on 1/16/19 - limited tickets available. The Friend of Trucking award recognizes a public official who has made major contributions toward benefiting the businesses and people involved in trucking in Colorado. Based on Polly’s strong support for our industry and the overall business community along with her outstanding record of service to Colorado, Representative Polly Lawrence has been selected to receive the 2018 Friend of Trucking Award. 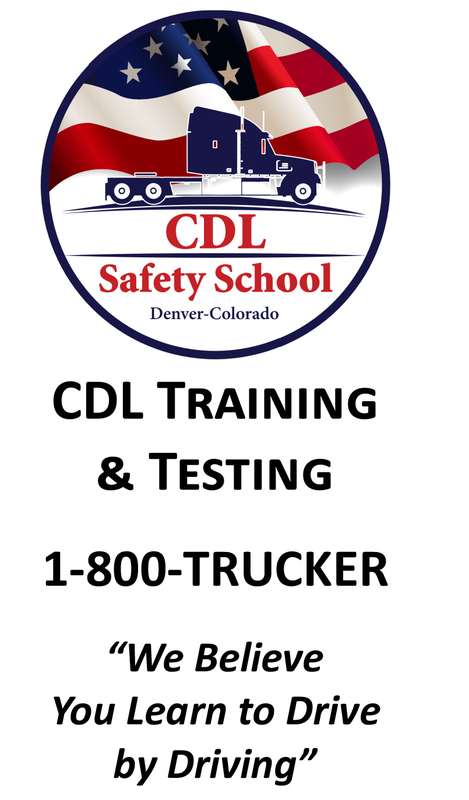 This funding can be used for the purchase of medium and heavy duty vehicles, freight switchers, heavy duty fork lifts and airport ground support equipment for public, non-profit and private fleets located anywhere in the state of Colorado. Eligible vehicles include those larger than 14,001 pounds that are fueled by CNG, propane, electric or hybrid electric. Electric vehicles may receive additional funding for their associated charging infrastructure. Funding is also available for medium duty diesel vehicles for small private fleets. For public and non-profit fleets, the program will fund 40% of the total vehicle cost up to a cap, whichever is less. For private fleets, the program will fund 25% of the total vehicle cost up to a cap, whichever is less.The settlement funding requires one qualifying comparable vehicle or piece of equipment to be scrapped for each new vehicle that is funded. Today is your chance to join people all over the state to support a cause close to your heart. 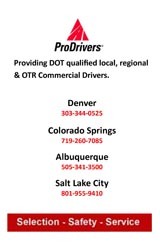 Please give where you live and support the Colorado Motor Carriers Foundation! Donate TODAY to give where you live! Habitat for Humanity of Metro Denver builds and sells homes in partnership with hard-working, low-income families who are willing to work hard to become homeowners. Their mission is to provide a hand-up not a hand-out. They are excited to announce its newest development in Denver’s Elyria Swansea neighborhood. Construction of 32 duplexes that will be a mix of 3 and 4 bedroom units will begin construction in the Spring of 2019. As part of its outreach, Habitat is interested in meeting local businesses that has employees that may qualify for its programs. If your business is interested in learning more about this project or any of its other projects, Matt Hanson matthew.hanson@mutualofomahabank 303-489-2937 (A CMCA Allied Member and Habitat Board of Directors) or directly to Habitat via Jeanne Fischetti Jeanne@habitatmetrodenver.org or 720-496-2713. Training Calendar - Click Here to Register! NOTE: The 2019 schedule is now available on our website. A complete list of Training Classes and descriptions is available on our website! Events/Meetings Calendar - Click Here to RSVP!